A heritage activity scheduled for this Friday will give visitors the chance to visit Għar Dalam under a moonless sky. Heritage Malta event ‘New Moon at Għar Dalam’ is a one-off opportunity to experience Għar Dalam and its surroundings at night. The tour commences with a short introduction on the biodiversity of the area and will be followed by a walk in the garden to listen to any flying bat. Visitors will listen out for the flying mammals using a bat detector, an electronic device which turns bat calls into audible sounds. A light trap will also be set up to attract flying insects. Moth traps consists of an ultraviolet lamp placed in front of a white background. Moths and insects are attracted to the ultraviolet rays and end up in the trap, where they can be studied before being released. Entomological studies in the Maltese islands will be highlighted and see what is the link between insects and bats. Finally the event will end with the tour of the cave in order to discover more about the interesting finds on past and present animals. The cave is a highly important site for its palaeontology, archaeology and ecology. 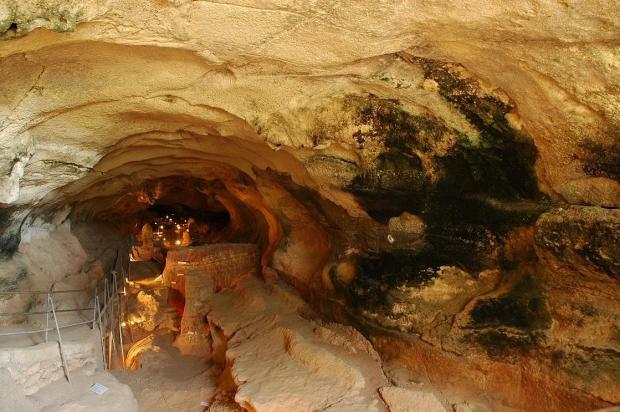 The history of the cave and that of the islands can be decoded from Għar Dalam’s stratigraphy. Għar Dalam’s relevance as a prehistoric site was discovered in the latter half of the 19th century with a series of excavations unearthing animal bones as well as human remains and artefacts. Today the cave still harbours a variety of animals, some of which are of great interest including one endemic species found nowhere else. During the night tour of the cave the focus will be on these animals and others. The event will be held on Friday June 15 at 7pm. Tickets cost €13 for adults, €10 for seniors and students and €9 for children under 12 years of age and Heritage Malta members. Tickets are available from all Heritage Malta sites and museums, and online. More information about Heritage Malta and events can be found on the website, www.heritagemalta.org, or on the agency’s Facebook page.